Lots of you know that we drove a straight 26 hours to Kentucky last week to visit all the family that I have there. I was debating on how to share the trip with you all and decided that a recap of the places would be best. These are places that I love, have so many memories of, and that define me as a person. These places helped to mold me into the woman that I am today. I won’t bombard you with all my loves at once, so expect a couple of posts like this. The first is the The Big Cheese. 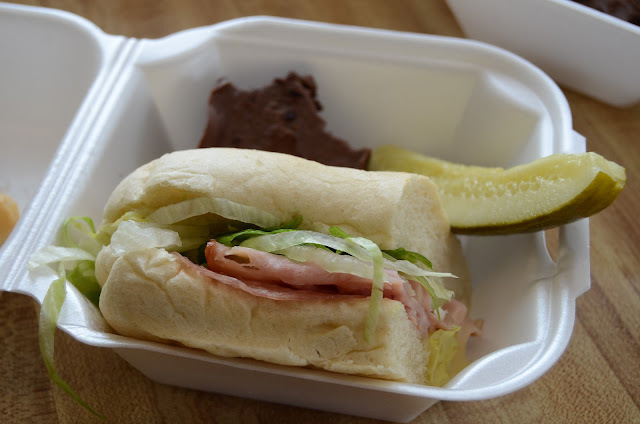 This unassuming deli is located off of 25th Street in Columbus, Indiana. You have never eaten a sandwich until you’ve had a Big Cheese. It is phenomenal. I recommend The Big Cheese Special, hot, with lettuce. The pickles and brownies are also the best in the state. The Big Cheese is a major craving when I’m pregnant – which is miserable now that I live 1407 miles from it. The Big Cheese is amazing, but there’s more to it than a sandwich for me. My first job was working at The Big Cheese. I started working there on Saturdays when I was fifteen. I think it was a significant start for me and very fitting to be working with food. Food is something that I know and love. I used to fry thirty pounds of bacon every Saturday. 3-0-pounds. Every. Saturday. Do you have any idea how much grease that much bacon produces? Around three gallons. Yeah, that’s a lot. I would have to leave my clothes out for my mom to wash, and shower as soon as I got home, because the smell of bacon was so strong. My car would even smell like it from my fifteen minute drive home once a week. I hated bacon for years just because of this. I couldn’t stand the smell of it cooking. I would get mad at my mom for cooking bacon while I was home. It has taken me years to want to cook it at my house. 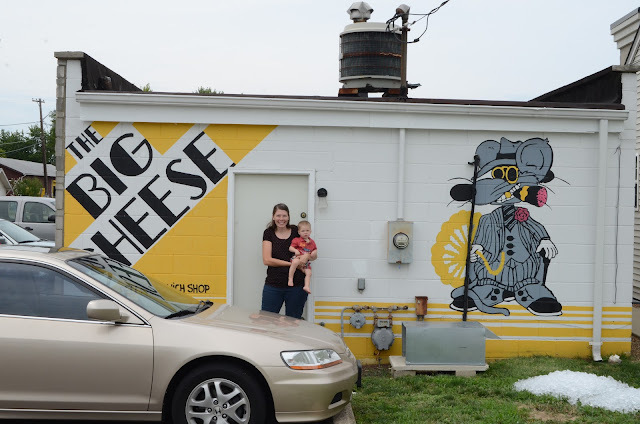 The Big Cheese was more than food or a first job; it was people. The owner is a dear friend and I would often work with her daughter who was a few years older than me. I didn’t know it at the time, but a few years down the road when we were both in college we would become best friends and that hasn’t changed to this today. When I wasn’t working with Katie, the owner’s daughter, I was working with my cousin. That cousin, Kaley, is also one of my very best friends. We talked, worked, ate, and cleaned together. She helped me through some of my hardest high school years with her Saturday afternoon conversations. It’s amazing how some good food, a best friend, and a little talking can sure help work out life’s troubles. Walking into that little sandwich shop fills me in more ways than one. It will always be part of who I am. If you are in the mood for the best sandwich around, check it out when you are in town. It’s worth the time. Now that you know my first job, what was yours? I worked at a frozen custard shop in high school. It was a great job, busy in the summer, but slow enough in the winter to do homework while minding the register. Snappy’s! I ate way too much pizza…. I love the Big Cheese, too! And trust me, that support was definitel two-way. You got me through high school! I totally have places that I love because I had great memories from working there. And then there are a few places that left a bad taste in my mouth. Funny how that happens. It’s mostly the people you get to work with that make the place!